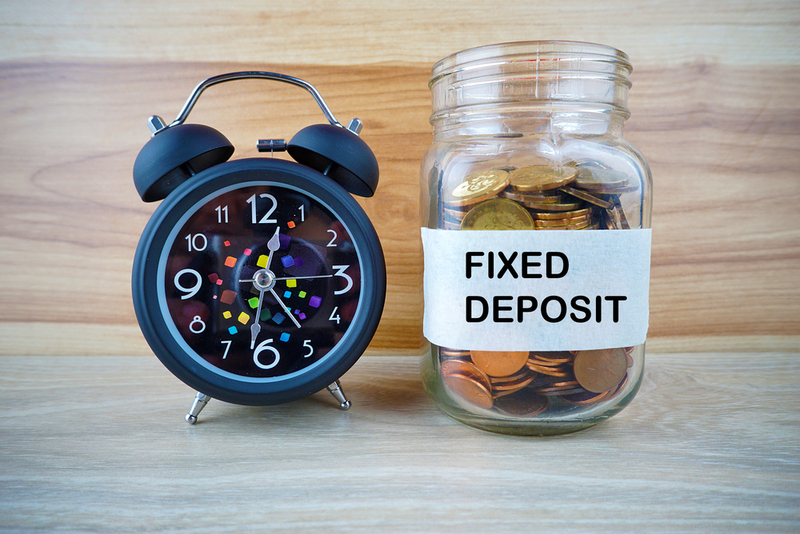 Fixed Deposit (FD) is a financial instrument provided by banks which provides investors a higher rate of interest than a regular savings account, until the given maturity date. It may or may not require the creation of a separate account. The Fixed Deposits being low-risk products work better for individuals with low-risk appetite, though they may not beat inflation. In addition to credit risk, there are two risks that investors face while investing in Fixed Deposits liquidity risk and re-investment risk. Liquidity risk also is minimized where premature closure option given for term deposits.Fixed deposit also include reinvestment deposits for fixed term. Section 80C of the Income Tax Act has a list of specified investment products using which people can save up to Rs 1.5 lakh in tax in a financial year. These include pension schemes, Equity Linked Savings Scheme (ELSS), life insurance to debt oriented products such National Savings Certificates (NSC), provident fund (PF), and tax saving fixed deposits (FD) with banks or post office. Since the interest rates on tax saving Fixed Deposits are fixed at the time of making the deposits, it is not subject to any interest rate fluctuation during its tenure, unlike SCSS (Senior Citizen Saving Scheme) where interest rate is fixed only for one quarter at a time. Hence, it is less risky to that extent and can help senior citizens in planning their future cash flows more accurately. With the expected increase in Fixed Deposits rates they will become a good investment opportunity for senior citizens as they are offered higher rate of interest, as compared to regular customers. With introduction of Section 80TTB granting a deduction for all bank interest incomes up to Rs 50,000 to resident senior citizens, bank Fixed Deposits have certainly become more attractive and tax friendly to senior citizens. This is true in case the limit of investment in senior citizen saving scheme has already been exhausted. The tax saving Fixed Deposit can either be made in a single name or in joint names of not more than two persons, one of whom can even be a minor. Deduction available for investment under Section 80 C can only be claimed by the first holder. Therefore, one must ensure that the person contributing the money is named as first holder of such Fixed Deposit. These Fixed Deposits cannot be pledge nor are they withdrawn before the completion five years. However, in case of death of first holder or the sole holder during currency of the term of deposit, the second holder, legal representative or nominee can request for premature withdrawal of deposit under this scheme. Hence, take your liquidity requirement into account before placing these Fixed Deposits. You can appoint nominee/s to receive the money in case of death during currency of the deposits. In case the nomination is made in favor of more than one person, all nominees will have to sign the necessary documents for claiming money from the bank. Fixed Deposit Laddering can address it. Laddering means you spread your Fixed Deposits across timeline. For example, if you have Rs 2 lakh to invest in fixed deposits make five fixed deposits maturing over one, three and five years, provided your financial goals permit. If you keep doing this at regular intervals, you will have fixed deposit maturing at regular intervals. Laddering your fixed deposit also help you take care of the re-investment risk. It means the risk of a possibly lower return you will get at the time of reinvesting your money. If all your money is invested in one go, then you may have to book a fixed deposit at a much lower rate if the interest rates in the economy are at cyclical low. This may result in a significant cut in your cash-flows.